Nines is a card game that involves planning and luck. The game begins with each player being dealt nine cards face down in a 3 by 3 grid. The remaining cards go into the center to be used as the draw pile for the remainder of the game. The objective is to finish with the lowest score, and aligning cards of the same value in rows can help achieve that. Designate a player to begin the game. He flips over the first card of the draw pile. That player can choose either to replace one of his nine cards with the drawn card or place the drawn card on top of the discard pile. If he chooses to replace one of his nine cards, the drawn card becomes part of his playing grid and the original face-down card is placed face up on top of the discard pile. The round continues counterclockwise. The next player also flips over a card from the draw pile or picks up the first card on the discard pile. He has the same options as the previous player. When three cards of the same rank are aligned in a column or a row, the player can remove those three cards from his board and place them underneath the first card of the discard pile. Removing cards on your board helps lower your score, which is the goal. The game ends when all of one player's cards are face up at the beginning of his turn. 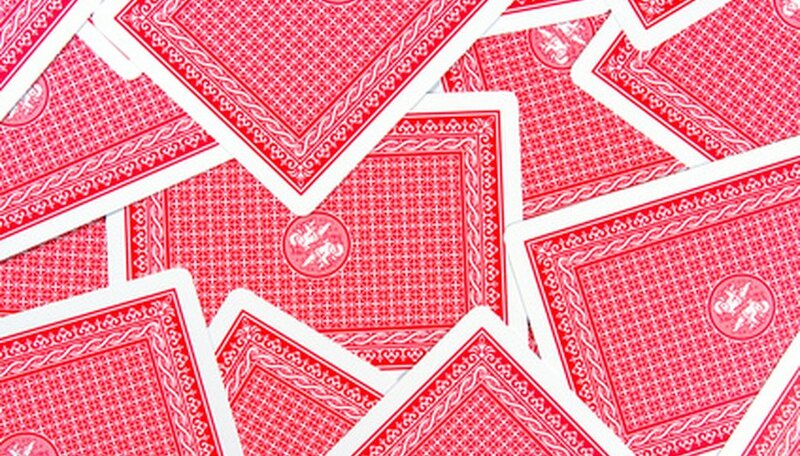 Every card on all grids are flipped face up to be scored to determine the winner. Cards labeled 10 or lower are worth face value. For example, a seven is worth seven points. Jacks and kings are worth 10 points each, and queens are worth zero. An ace counts as one point. The player with the fewest points is the winner.